Procurement Services is responsible for purchasing all goods and services for schools, offices, teachers and staff of the Shelby County Schools for the best dollar value. The Procurement Services Department is committed to bid practices that offer all vendors open and fair competition. 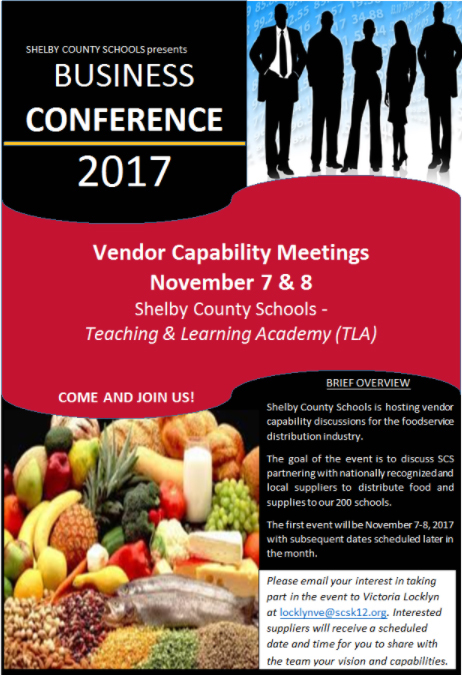 The role of Procurement Services is to ensure that our customers have the appropriate tools to teach our children and to lead them into successful future beyond their years with the Shelby County Schools. Please contact the Facilities Warehouse at (901) 416-9420, to inquire about excess inventory before submitting an APECS Requisition Purchase Order.